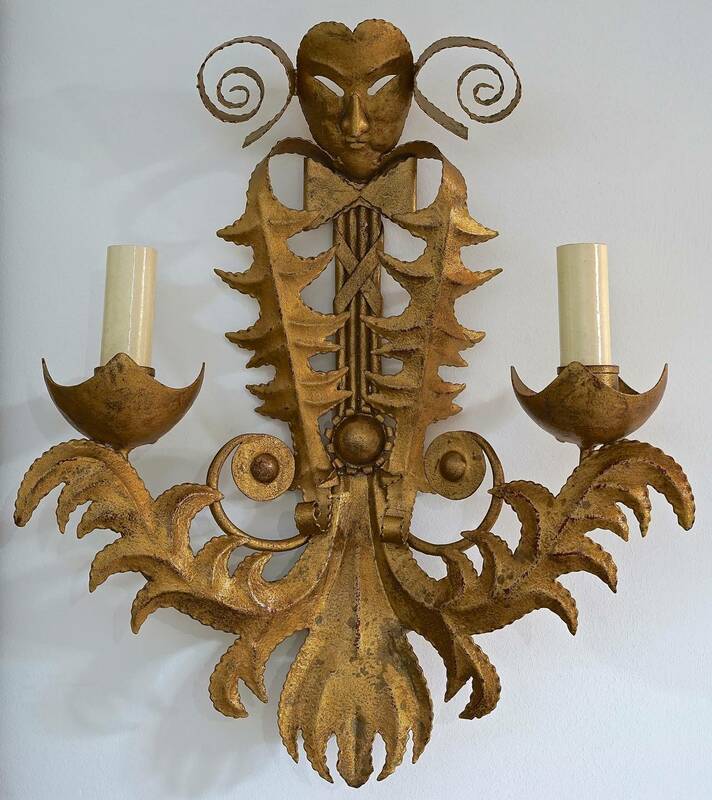 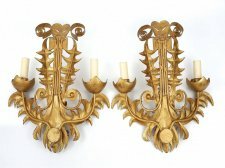 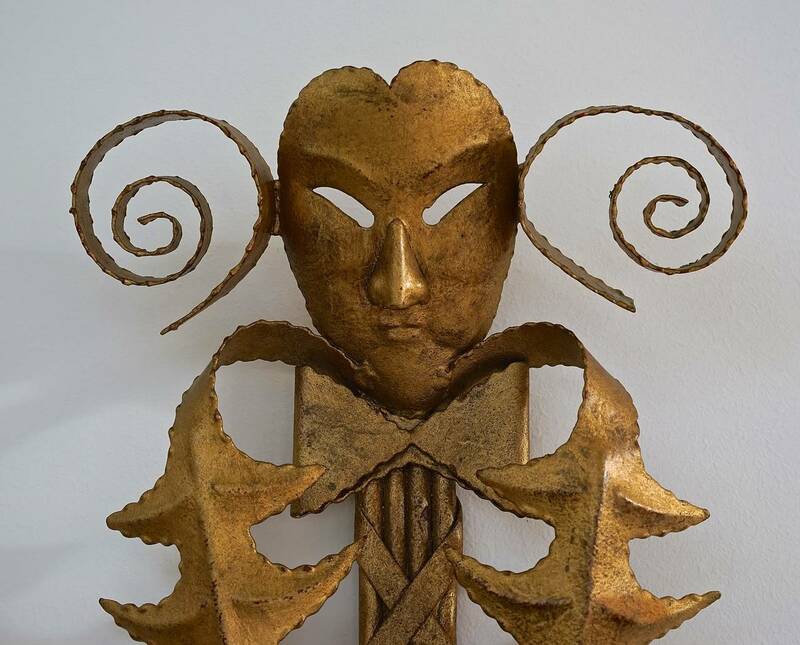 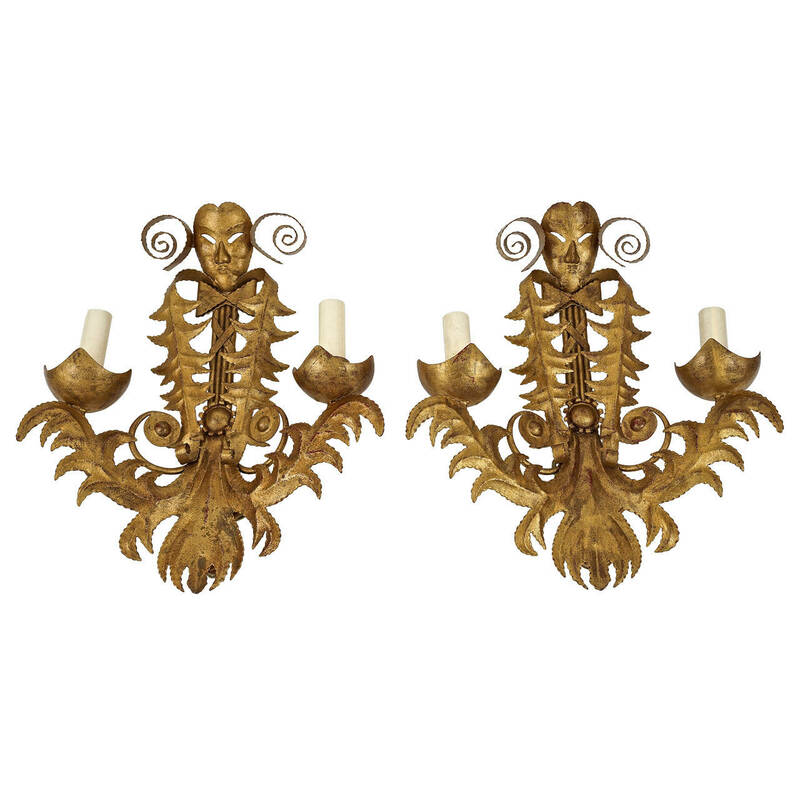 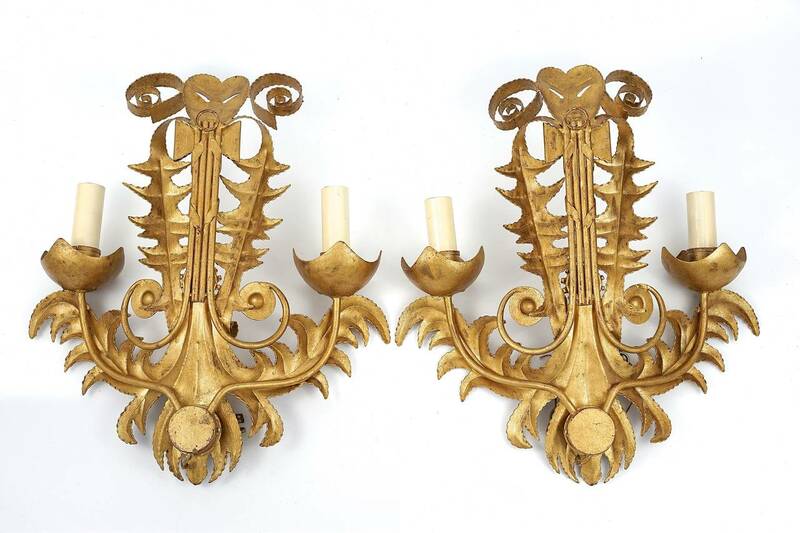 Pair of beautifully hand-forged metal, two arm wall sconces with stylized acanthus leaves, arrow quiver with cross-banding, floral medallion and theatrical mask with flowing ribbons. 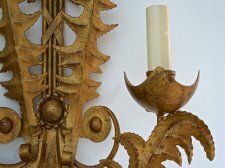 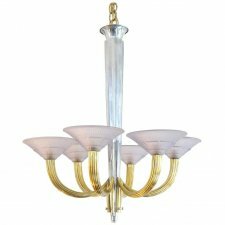 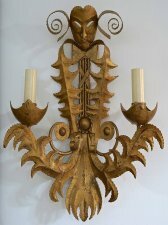 The sconces are finished in a antiqued-gold paint coloration with a red-bole base. The candle sleeves are paper and the sockets require Edison bulbs.